We have custom built many of these shorter scabbards for our customers. 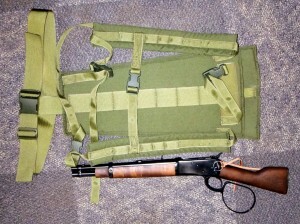 The short barrel scabbard was designed for the lever-action Mare's leg style rifles. The back scabbard will support the Rossi Ranch Hand, Puma 92 Bounty Hunter and the Henry's Mare's leg rifles. This scabbard is worn on the back and allows for the rifle to be drawn from the back. If you need a way to carry your lever-action Mare's leg all day this is it. Because the scabbard is so short it works well if you are riding a horse or on a four wheeler. We also offer custom work on the scabbard. 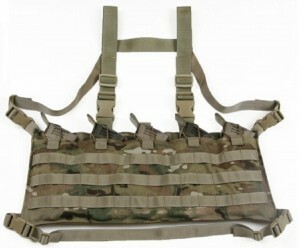 If you want molle webbing on the back or additional webbing attachment points give us a call or send an email. Again, if you are looking for a way to carry your Mare's leg lever-action rifle this short barrel scabbard is the way to go. Is there a different carrier or cover for my Interceptor IBA armor/IOTV armor ? We get this question a lot from guys that have either Interceptor IBA front opening three piece body armor or the newer IOTV Gen1 and Gen2 two piece body armor. 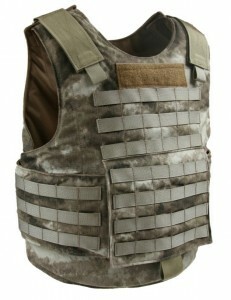 BCS makes covers or carriers that will fit both styles of body armor. The BCS OTV carrier is an improved Interceptor IBA cover that coverts the three piece armor set into a two piece body armor carrier. 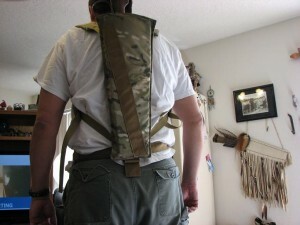 This design allows for major improvement like; Front and rear hard plate adjustment, continues molle webbing across the front of the carrier, Simpler to put on and take off and has attachment points for the armor accessories ( groin, back protector, collar, Daps). 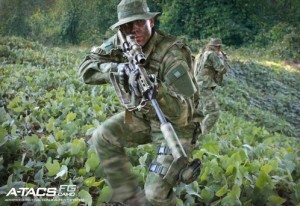 The BCS IOTV cover/carrier supports both IOTV Gen1 and Gen2 cut body armor. Our goal with this carrier was to make it lighter and simpler. This carrier is not a quick release carrier intentionally because we wanted to lighten it up. By removing the quick release mechanism apparatus the carrier is once again basic, effective and light…KISS(Keep it simple stupid). As well, this carrier provides all the great features as the OTV and has the armor accessory attachment points so the issue accessories can be used. The BCS OTV and IOTV are available in three different versions (LBAV, Molle, Cumber) and multiple colors(Multicam, A-TACS, Coyote, Ranger Green,Khaki, Black) so the operator has more options. If a custom version or modification is need just let us know and we will see what we can do. We have been working hard with Digital Concealment Systems to get our products ready for the release of their new A-TACS FG (Foliage Green). This will be their "Green" pattern that many have been waiting for to fill their Temperate Camouflage gap and counter their original Arid/Urban design which is simply known as A-TACS. All BCS gear is available in A-TACS FG and we are starting to take orders. If you want to be one of the first to have a Plate carrier, body armor carrier, chest rig, shotgun scabbard or armor accesories in A-TAGS FG get your order in today. The AK weapon system was developed by Mikhail Kalashnikov to answer the needs of modern urban combat, it has been adopted by the American Gun Community to answer the needs for the ultimate civilian defensive rifle. We have now built the ultimate AK47 Chest rig to support the rifle. Here is our high quality low profile AK47 tactical chest rig at an affordable price. 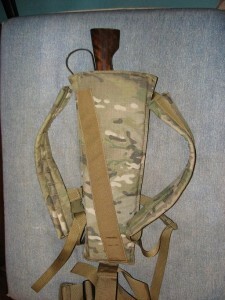 The chest rig is available in a 4 mag, 5 mag, 6 mag or 7 mag configuration. The mag pouch will support plastic or metal 30 or 40 round AK magazines. The shock cord retention/over sized pull-tabs holds your mags tight and can be adjusted to your needs or removed completely if desired. The low profile modular design makes it the best chest rig for civilians when flexibility and comfort are required. The rear pocket with velcro closure will hold maps or other gear. The rear pockets will also accommodate up to 4 magazines giving you the ability to carry more magazines if needed. The AK47 chest rig boasts 1.5” shoulder straps for comfort and a fully adjustable 6 point system in a X or H harness design. The fully adjustable quick release buckles lets you easily adjust the front drop as your wearing needs change. Ride it high for CQB or when sitting or let it ride low when walking or standing. The straps have generous length so that you can adjust the overall size to varied body styles or accommodate bulky clothing. Our unique pull-forward lat straps options allow for quick adjustment. The waist strap provided for a generous amount of webbing for those with more girth. 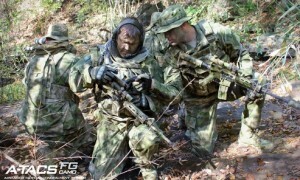 This is the best fitting AK47 chest rig for big guys on the market. How do you carry your AK47 magazines? How will you use your rifle effectively? If you don’t have a magazine carrying system for your AK it is not too late. Get your BCS AK47 chest rig today so you are ready. BCS BALCS carriers support ballistic soft armor cut to the shape requirements specified for US SOCOM SPEAR BALCS and Hard Armor plates cut to SAPI and Swimmer. The BALCS carriers are available in three versions and in multiple colors which allows the individual to quickly utilize BALCS cut armor in a cost effective manner. Features include fully adjustable shoulders, 2 inch strip of velcro loop on the front for identifiers and groin protector attachment points. 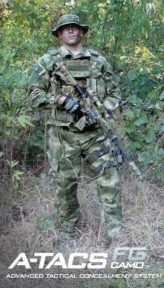 Colors – Multicam, A-TACS, Coyote, Ranger Green, Khaki, OD and Black. To see the other versions of the BALCS carriers click on the BALCS carriers product link on the right side.